What are the foundational moments of meaningful scholarship of teaching and learning (SoTL) projects? How do teacher-scholars collect, develop, and share useful insights about student learning? How do they work through the pinch points that frustrate, confuse, or elude many SoTL practitioners? By unpacking SoTL processes through rich narratives that illustrate what they look like, this collection offers inspiration to anyone at any stage of engagement with SoTL. This book takes discussions of SoTL to a new level. Its subtitle reflects the microscopic lenses SoTL processes can apply to student learning experiences to understand how they happen, what they look like, what they mean, and what we can do about them. Going beyond definitions, how-to, theory, and debates about methods and standards, the contributors offer a SoTL primer documenting how practitioners have intentionally thought through key moments in their work. These procedural vignettes present powerful examples of what doing SoTL looks like when done well. The authors represent a range of disciplines (the humanities, social sciences, natural sciences, and professions) and a mixture of familiar and unfamiliar names. 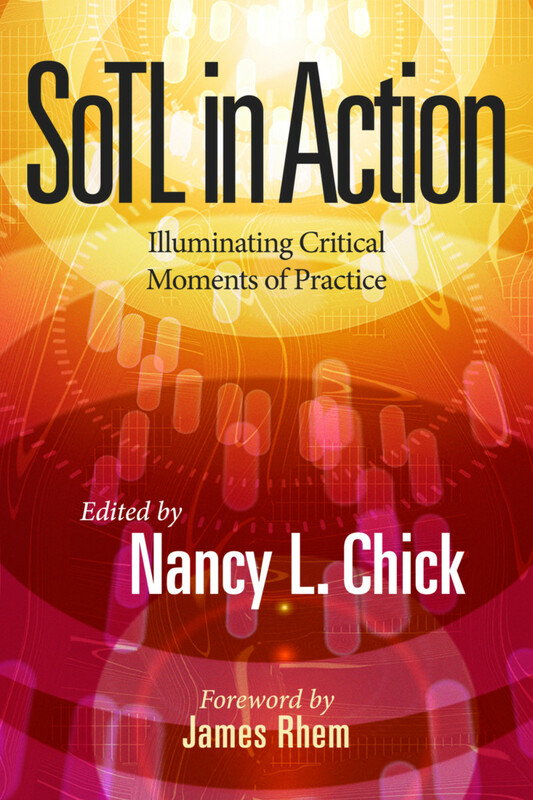 Nancy Chick has selected contributions that compellingly illuminate why their authors focused on a particular critical moment, the questions they asked as they refined their approaches, and the theoretical and observational tools they employed to conduct their research. Each introduces a specific critical moment in doing SoTL, taking the reader through the author’s reflections, concerns, and choices in doing meaningful SoTL work. The aim is to support potential practitioners, inform educational developers who teach new SoTL practitioners, and inspire experienced SoTL scholars to reflect on their own practice. This is a compelling collection for anyone interested in practitioner reflection, intentional design, and advancing the field of SoTL and the quality of teaching and learning. "This book rises above others. Compiled by giant scholars of SoTL, it does what it promises – gives a delicious smorgasbord of action accounts of SoTL. These accounts are well-grounded, thoughtful, inclusive and encouraging. A must-read for anyone interested in SoTL. The book’s focus on critical moments of practice helps readers to see, perhaps new, crucial aspects of SoTL. And, as we know, seeing those new aspects helps us learn. So, take this opportunity to learn!" Nancy L. Chick is director of the Endeavor Foundation Center for Faculty Development at Rollins College in Winter Park, Florida. She is the founding coeditor of Teaching and Learning Inquiry, the journal of the International Society for the Scholarship of Teaching and Learning (ISSOTL); coeditor of Exploring Signature Pedagogies and Exploring More Signature Pedagogies, and was cochair of the 2017 ISSOTL conference. Visit Nancy's personal blog at https://nancychick.wordpress.com.